Posted by Pam in KC in finish, Quilts. Monday I finished the binding on the Strippy 4-Patch. 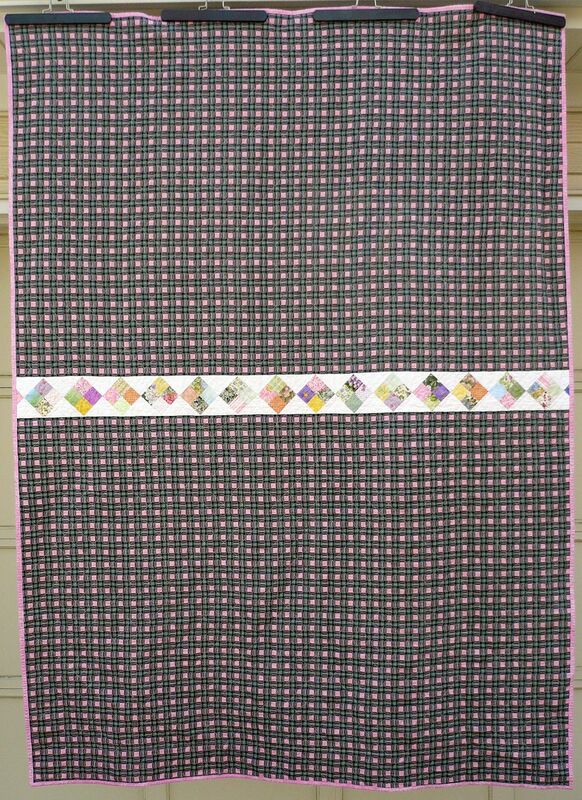 This quilt was started in January 2008 as a leader/ender projects. The top was finished April 5th and I found the a plaid fabric in my stash that I didn’t think was the best. It turned out to be perfect. Since it’s a plaid, the photo just doesn’t do it justice, so here’s a close up and if you look carefully, you can see a bit of the quilting. 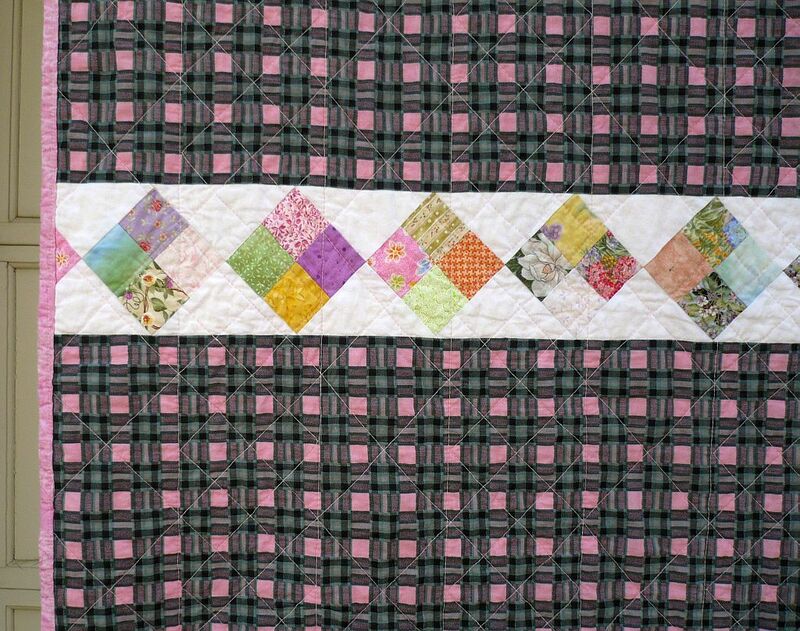 Nothing fancy — outlined the 4-patches and diamonds in the unpieced strips and borders. 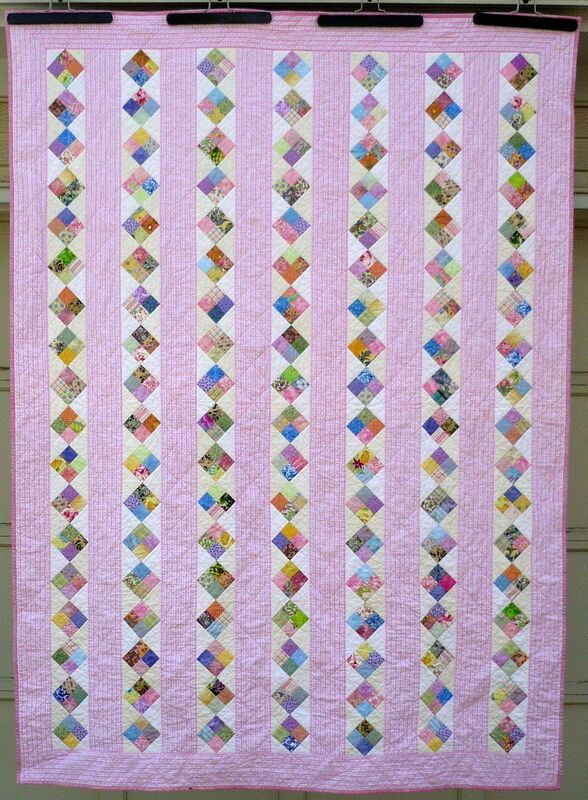 I used a pink Fairy Frost to bind the quilt.